An elegant example of a lovely late Victorian walnut double bed, with its traditional slatted and carved headboard and matching footboard. The bed comes with a newly made slatted pine bed base so all that is required is a standard mattress. A fantastic stand-alone piece, or to complement existing red walnut bedroom furniture. 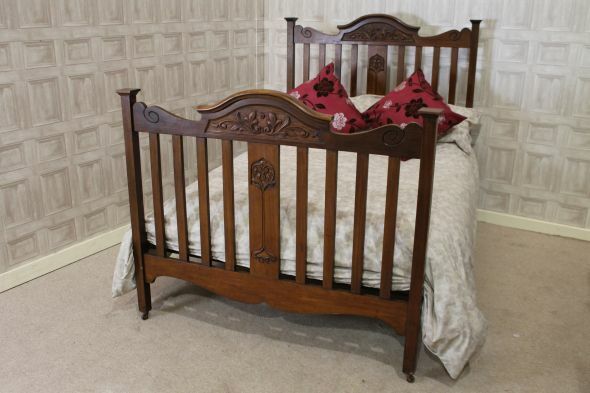 An elegant piece of Victorian furniture; ideal for any period bedroom interior.